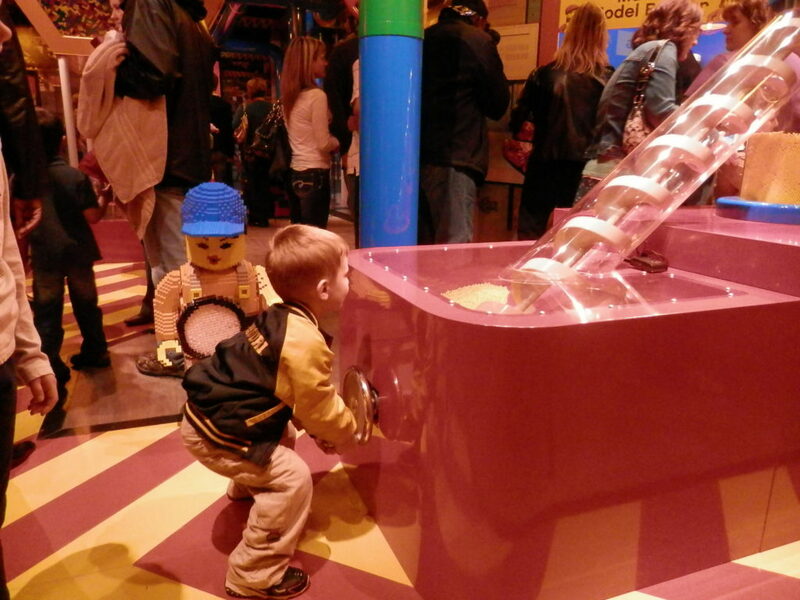 A child learns how LEGO bricks are made in the LEGO Factory at LEGOLAND Discovery Center at Crown Center in Kansas City, Mo. It happened 100 years ago, but the tragic impact of the sinking of the legendary ocean liner can still be felt by visitors touring “Titanic: The Artifact Exhibition” this spring and summer at Union Station in the heart of downtown Kansas City. More than 300 legendary artifacts, conserved from the Titanic’s debris field by the company that holds exclusive rights to the wreck site, are on display in the 15,000-square-foot Bank of America Gallery. The artifacts, including china dinnerware etched with the logo of the White Star Line, are impressive in their own right, when you consider that they were salvaged from wreckage 2.5 miles deep in the North Atlantic Ocean, but the most compelling thing about the exhibit is the way it relates the human stories of the passengers onboard the doomed ship. Extensive room re-creations (including the Grand Staircase area), the bell from the crow’s nest (rung that fateful night), and passengers’ luggage and personal effects make history come alive with a poignancy that is sometimes almost too much to bear. Children might enjoy touring the noisy “engine room” with its authentic-looking boilers, and also putting their hands on a replica of an iceberg to get a feel for how cold it was that fateful night when more than 1,500 people perished in the sea. 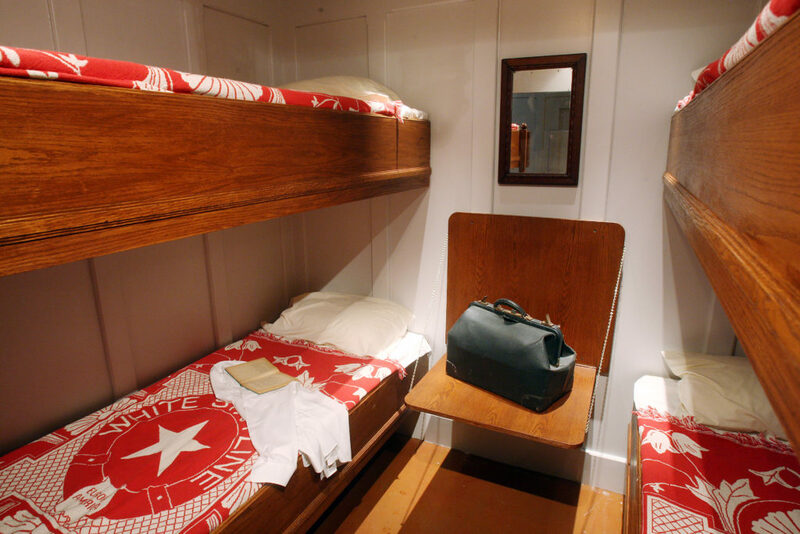 Upon entering the exhibit, ticket holders are handed a boarding pass containing the name of one of the actual Titanic passengers, and at the end of the tour, they can check names on a wall to see if their person is listed as a survivor. The exhibit, which runs through Sept. 3 and has attracted more than 54,000 visitors since opening March 10, is only one of the current huge draws downtown. History buffs will also be awestruck by the National World War I Museum, flanked by the Liberty Memorial, where you can experience the war through the eyes of those who lived it. Upon entering this fairly new (just six years old), award-winning museum, you walk across the glass Paul Sunderland Bridge, which spans a field of 9,000 poppies, each representing 1,000 combat deaths during World War I. You can’t help but be deeply moved as you continue exploring this extraordinary window to the human spirit, as revealed by genuine artifacts and many high-tech, interactive exhibits. Family-friendly fun abounds in the area — with old standbys Science City (an “edutainment” center in Union Station, featuring more than 50 interactive displays for exploration, experimentation and discovery), Kaleidoscope (a Hallmark-sponsored creative art studio for kids at Crown Center) and the Coterie Theatre at Crown Center (“one of the five best theaters for young audiences in the U.S.,” according to Time Magazine). Crown Center also welcomes two new kids on the block: SEA LIFE Kansas City Aquarium (which was profiled in last month’s Daytripper column) and LEGOLAND Discovery Center. According to statistics compiled by LEGOLAND, the world’s children spend 5 billion hours a year playing with LEGO bricks. No wonder the 30,000-square-feet indoor LEGOLAND Discovery Center in KC (like SEA LIFE, owned and operated by Merlin Entertainments) is already wildly popular with local kids and their parents. For the small fry, there are two amusement park rides — including one, Kingdom Quest, which is very much like the Buzz Lightyear’s Space Ranger Spin ride found at the Magic Kingdom theme park at Walt Disney World Resort — a LEGO factory, DUPLO Village, LEGO Racers: Build & Test, LEGO Friends, LEGO City and LEGO Studios, a “4-D” movie theater where you just might get wet along with the characters on screen. There’s also a climbing playground with tunnels and big, soft LEGO bricks; a Master Building Academy, where kids and their parents can learn to make smaller-sized LEGO models, like pirate ships or turtles; and a MINILAND, which features Kansas City landmarks including Union Station, Liberty Memorial, Country Club Plaza, the Nelson-Atkins Museum of Art, Starlight Theatre, Kansas Speedway and Truman Sports Complex, made from more than 1 million LEGO bricks. Special lighting and sound effects display the models both by daylight and at night — when colorful fireworks burst into the air over the sports stadiums, to the cheers of the “crowds” of LEGO people. However, I found a few of the attractions to be well worth a visit even without a kid in tow, so was glad to learn that LEGOLAND is planning adults-only nights on the third Monday of each month.